The frantic holiday shopping season typically kicks into overdrive during November and usually involves consumers picking up the latest and greatest tech to be offered by some of the world’s largest household names. This year’s focus will undoubtedly be front and center on the gaming industry, with Sony and Microsoft both pushing out new consoles during November, both of which will benefit from exceptional titles like Battlefield 4. But which platform will render the game better? The embedded gameplay video shows what is potentially the first publicly available sight of Battlefield 4 running side-by-side on Sony’s PlayStation 4 and Microsoft’s Xbox One. Taking a first glance at the initial introductory underwater scene doesn’t immediately make one console stand out above the other but you do start to notice extremely subtle differences as you see the way how different environments are rendered. Those differences shouldn’t really come as a surprise for those that have been following the latest console gaming news. Infinity Ward’s Mark Rubin has already confirmed via Twitter that Call of Duty titles on Xbox One will be upscaled to 1080p from 720p. 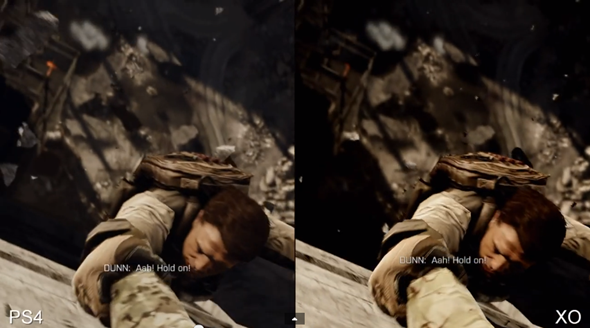 The same can’t be said for Sony’s new PlayStation 4 console which will run Call of Duty natively at 1080p. Call of Duty and Battlefield 4 may have similar styles of gameplay but it also seems that the similarities don’t end there. 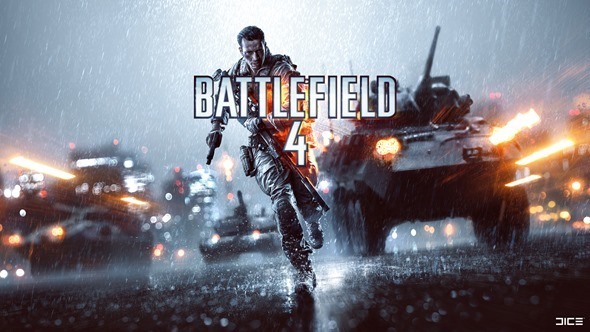 The Battlefield 4 offering is also running at 720p on Microsoft’s console while the PlayStation 4 variant is running at 1600×900 and offers approximately 50% more pixels to boot. The gameplay videos – posted by Digital Foundry – have been compiled from over 3TB of lossless 1080p video and should hopefully give consumers a fairly decent representation of what they will be getting themselves into when opting for one console over the other. It may ultimately come down to personal preference when choosing the right console but the gameplay video does a great job of showing that Battlefield 4 looks exceptional on both platforms. The environments are rich and crisp. The vehicles are life-life and exceptionally detailed and the characters are as close to the real thing as we imagine is possible. Check out the videos and see what you think. The power of the PlayStation 4 or the rich feature set of Microsoft’s Xbox One?